One of the downsides to iOS is the lack of a true dark mode. While Apple has offered a workaround, third-party developers have taken it upon themselves to implement dark themes in their apps. 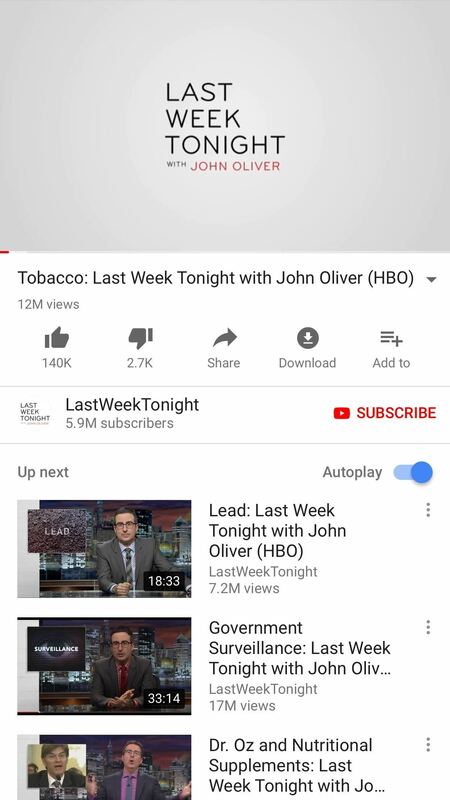 While big names like Twitter and Reddit have led the charge for some time, it appears YouTube is the next app to join the party. Dark mode began rolling out to users very slowly as a server-side update, so if you don't see the option yet, and you're currently running at least version 13.01.4, know you're not alone. Some users hadn't received the update until after installing version 13.08. Most received the server-side update around March 13, 2018. When you do get the update, activating the dark theme is simple. Just tap the account icon in the top-right corner of the display, then tap "Settings." 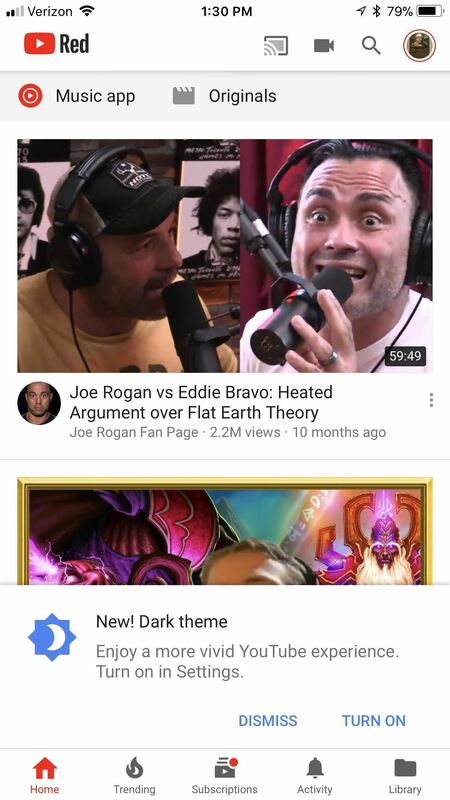 If you do have the option to switch to the dark theme, you'll find it to be the first option under YouTube. Simply tap the slider to switch between dark and light themes. 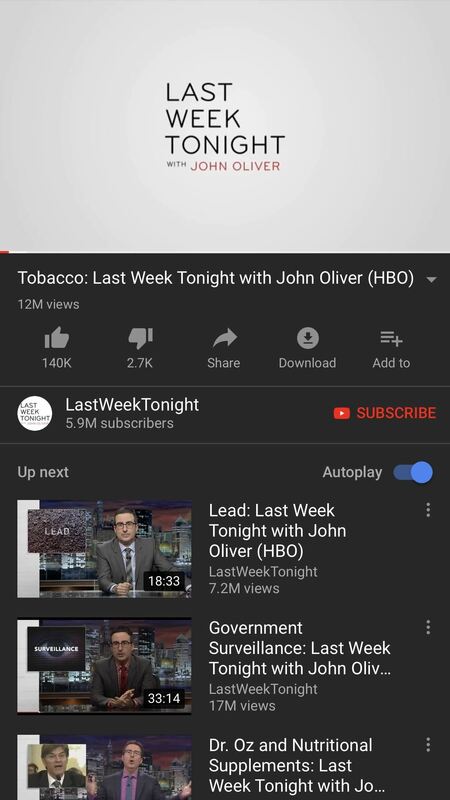 Keep in mind: if you're using Apple's built-in "dark mode" when you activate YouTube's, it's going to look white. 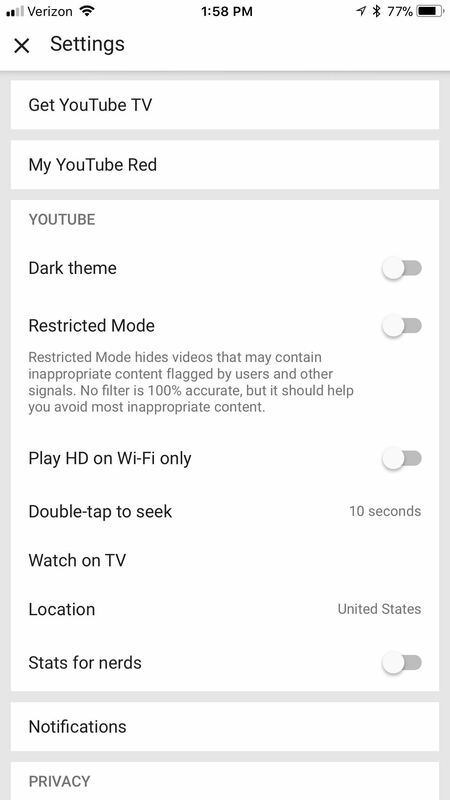 You'll have to disable the "dark mode" in iOS first if you'd prefer to use YouTube's. 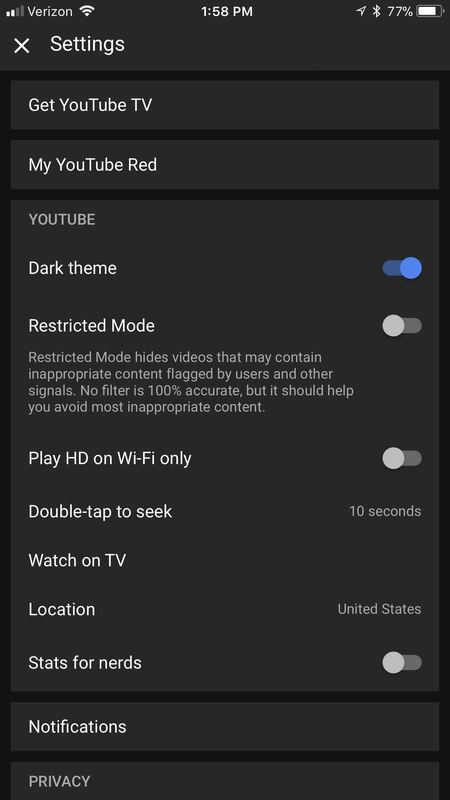 Just remember to turn the iOS "dark mode" back on when you leave YouTube or the rest of your iPhone will be back to normal. If you'd like to test new YouTube features on iOS before anyone else gets them, try signing up for the YouTube for iOS beta. There's no guarantee you'll be able to join, since the beta may already be full, but you'll at least be put on a waiting list.